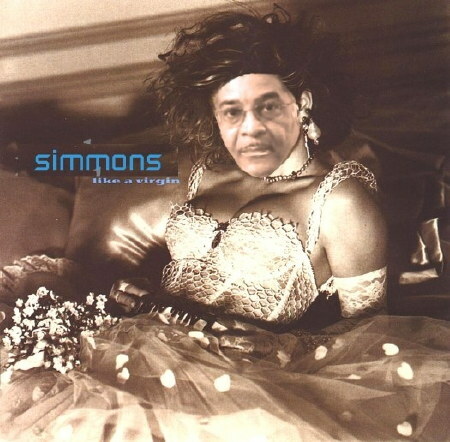 Dear Barbados Chief Justice Sir David Simmons, this article is for you. Why is it not appropriate for the Commissioner of Police of Anguilla on his retirement to be appointed Magistrate of Anguilla? It is unfortunate that I have to ask this question. The answer should be obvious to all. The answer is that such an appointment will tend to undermine public confidence in the administration of justice, and to bring the judiciary into contempt. Just in case there is one single person out there who does not see the point immediately, let me try my best to explain why this is so. First of all, every police case brought in the Magistrate’s Court is brought in the name of the Commissioner of Police. The Magistrate’s Court deals with 95% of the criminal cases brought to court in any country. The trial of crime in Anguilla is for all practical purposes synonymous with the Magistrate’s Court. If I get a summons, it will be titled “Commissioner of Police versus Don Mitchell”. Then, every single investigation of a crime is conducted under the direction of the Commissioner of Police. He is the head of the police force. In addition to the obvious conflicts of interest and questions of bias raised, there is the fundamental question of the separation of powers. At least since the time of the Duc de Montesquieu, the principle of separation of powers has been an intrinsic foundation of the rule of law. Ask any first year law student. Ask any first year law student why it was unethical for you as the former Attorney General and Acting Prime Minister of Barbados to accept an appointment as Chief Justice. It was a fundamental question of the separation of powers. You knew that your appointment to Chief Justice undermined public confidence in the administration of justice, and brought the judiciary into contempt, but you wanted the honour and the job so bad that you took it. And Owen Arthur wanted influence over the courts of Barbados so bad that he appointed an old friend (one of the three mice) as Chief Justice. Ask any first year law student, SIR. Upon request of AccessOne Barbados, Inc.’s lawyer, Satcha S-C. S. Kissoo, Barbados Free Press removed an article written by Keith J. Walker, Founder/Chairman of AccessOne Barbados, Inc.
Mr. Walker: If you want the article re-published, just say so. So in appreciation I want to extend the wish for A Happy Birthday Barbados ! What’s a lost million to a Barbados government worker? What would almost ONE million Dollars be doing in an ESCHEATED ‘checking’ account (# 01283012) under the name of the Ministry of Finance Poverty Alleviation Grant? See page 46a Sunday Sun 29th November 2009 where the Barbados National Bank Inc, lists a number of unclaimed or dormant accounts. Would this not have been picked up by the Auditor General and is there no actual use for this poverty alleviation grant? Comments Off on What’s a lost million to a Barbados government worker? George is being cranky somewhere, no doubt. I swear to the Lord I don’t know why my old girlfriends never turned me in for BFP, but they never did. Who does the DLP want to see leading the BLP into the next election? We took a vote at the party last night and it was unanimous. Not one dissenter. Lies of Omission: Barbados Advocate article IDB “$400 Million Boost” doesn’t once mention word “Loan” !!!! Oh Gawd, this is freaking hilarious! The #1 government mouthpiece, The Barbados Advocate, does an entire article about the recent Inter-American Development Bank loan of US$200 million to Barbados and doesn’t once mention that it is a loan to be repaid. A loan that plunges the country further in debt. I’m talking about the freaking Barbados News Media going through all sorts of linguistic athletics to avoid mentioning that this is debt. Read the Barbados Advocate article. This is FREE MONEY, maybe grants. That’s the impression. But in case they remove the article like they usually do when they are caught, here it is in full. To be fair, Birdlife International does a stellar job internationally and in Barbados – and its own publication on Barbados’ important bird areas gives proper coverage to the Graeme Hall Nature Sanctuary (Birdlife International publication available in PDF download here). 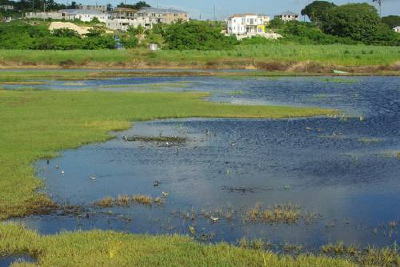 BUT… to classify their Woodbourne project as the first such effort does a great disservice to the hundreds of Bajans who created the Graeme Hall Nature Sanctuary and the tens of thousands who came out to support the sanctuary prior to its closing by owner Peter Allard over the failure of the Barbados Government to adhere to our own laws and protect the natural environment at Graeme Hall. It seems that money and development win every time over the rights of Bajans to enjoy what is left our country.